I have to start this review about Diablo 3 console edition by saying that I was absolutely blown away! Get ready to get addicted! 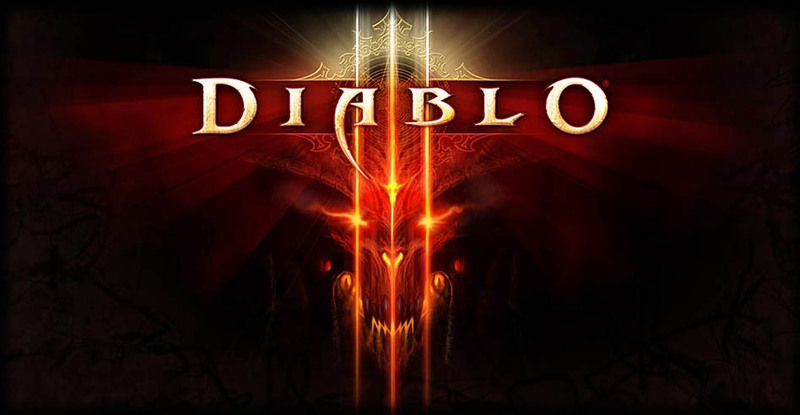 Diablo 3 was meant to be played on the console, so if you are a console gamer and have not had the chance to play, now is your time to shine. 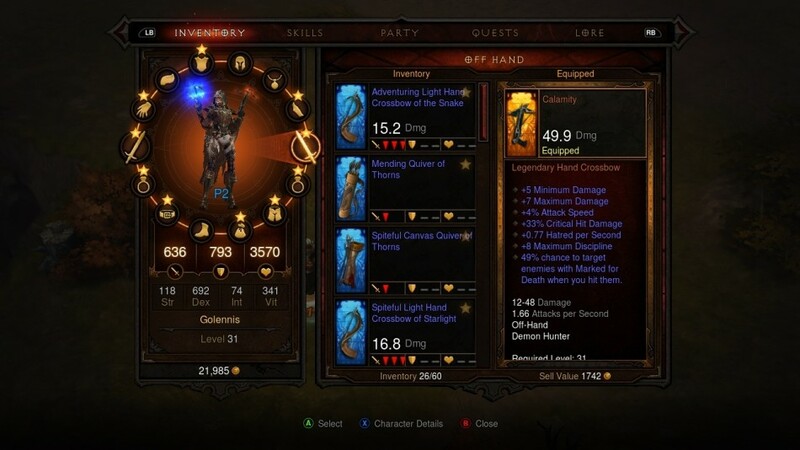 I played through Diablo 3 on the xbox 360 and could not have been happier. 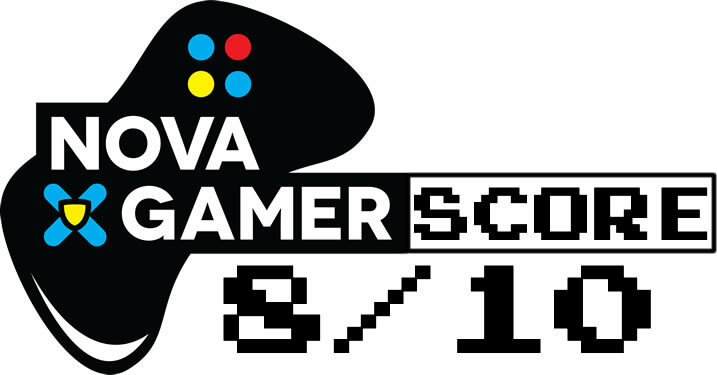 This is not a port from PC to console, but more of a re-imagining of the title that focuses on the game play and fun with friends. The controls, game mechanics, and multilayer are all spot on! There is very little that I would like to have seen changed in the Dibablo 3 console edition! Lets start by looking at the controls of the game as this is probably the biggest change from PC. You are no longer playing with a moue and keyboard, the game has be redesigned to work with a PS3/360 controller…and it works! Running and aiming is left to the left stick, while doge is controlled by the right…That is right, they introduce a doge feature which after playing through the game I honestly do not know how I played on PC with out it. The rest of the buttons are left to control your skills and spells, map, inventory, and town portals. Blizzard also introduced a quick equip feature limiting your need to enter the inventory. This is not huge for single player, but is a definite must for multilayer. The aiming and target selection can be a little difficult at times using the analog stick apposed to a mouse. You are no longer able to select a specific target out of a mob of 50+ enemies. I know this doesn’t sound like a huge deal, however when you encounter a huge group with a healer/reviver in the center, it can be quite difficult to move on with out taking them out first. It may be a little of an inconvenience, however it has yet to stop me dead in my tracks. The game mechanics have had a complete face lift as well. The menus are all set up in a radial menu design for quick and easy access. All items that are picked up are immediately sorted to their proper spot in the inventory. All the helmets go to the head section, boots to boots, and so on. This stops you from wasting hours sorting through your inventory after a long days work, you can quickly see what items will benefit you with the introduction of the quick equip and move forward. The game play has also been tweaked. The Normal, Nightmare, Hell , and Inferno modes are still available for players, however they have introduced a difficulty system. 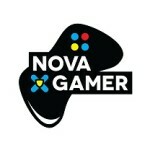 This allows players to increase the risk, as well as the reward, for the different game modes. Difficulties range from Easy, Normal, Hard, Master I, Master II, Master III, Master IV, and Master V. Each one adding health and strength to the enemies. The master modes however increase drop rate, and xp gain as well! Heed my warning that the master modes are HARD! Do not think for one second that you can pop the game in and start on Master I! You will first have yo level and collect better gear in order to have any chance at surviving…Or you will have to know how to kite, because there is really no other way to play. The drop rate is the next major game mechanic to be tweaked. Blizzard has lowered the over all drop rate for Diablo 3 console edition, but has increased the odds of getting something useful for your character. This translates to better drops for you specific toon! No longer will you get a legendary barbarian weapon for your wizard…which is very much needed. By act 2 I had already received and replaced about 5 legendary items, each of which were very useful for my wizard. Blizzard did this because they removed the auction house entirely for the console. As I mentioned before, I think this was the best move they ever made! I have hit points in the game where I have had to go and grind to increase my level or gear to move forward, but with the new drops system I have yet to think “I wish I could just buy my way though” Which I found my self thinking way to often in the PC version. the real money auction house made the game feel way too much like a pay to win game…I know it wasn’t, but that is how it felt. In fact Blizzard has announced that the PC version will be removing the auction house in March of 2014, you ca read more here. 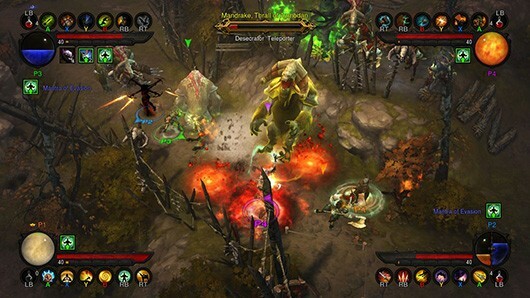 So what is a Diablo game with out a little multilayer? 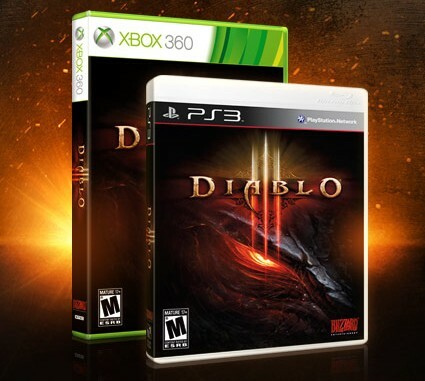 The Diablo 3 console edition allows you to play online with 3 other people…But more importantly you can play with 3 other people off one console! This option took the cake for me! All four players can see the screen with each individual health/resource bar in their appropriate corners. The screen zooms in and out as players move away from each other in the center of the screen. If by chance one player gets stuck they will then teleport to the main group. I had the chance to play this with fellow NovaGamers, Jon, Dan, and Chantel, and we had an absolute blast! We made it up to the Skeleton King on Normal Master I difficulty and it was safely the most fun I have had playing any Diablo title…Possibly the most fun I have had with 3 others off one 360…The loot system works here as well, dropping useful items for most members of the party. The one system that doesn’t work is the menu. Every time a player checks their skills or inventory the game is paused for everyone. This can cause some huge game delays while trying to equip gear, craft, sell, and spec. It almost feels like a missed opportunity to use Smart glass integration on the 360. Think about that for a second, each players skills inventory, shop and so on is available on their smart phone! It would be a game changer! Diablo 3 console edition is definitely worth picking up if you have never played the title before, or if you own it on pc but want to play though again. In my opinion Diablo 3 was meant to be played on console!